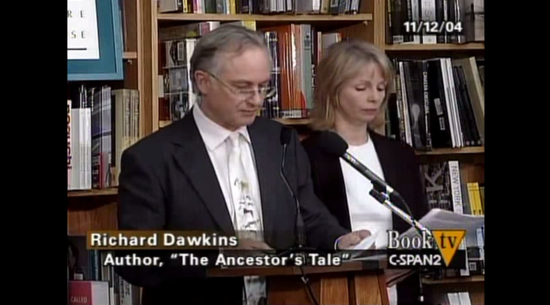 Richard Dawkins and Lalla Ward (best known for playing Romana in Doctor Who) have announced their separation after 24 years of marriage. Our marriage, like everyone’s, is a private matter and we are not prepared to share any details. Suffice to say it is true that we recently separated entirely amicably. Obviously, this remains a difficult time, one which we simply will not discuss any further publicly. We would, however, like to stress that we shall always be friends and that we will, of course, continue to work together. They were introduced in 1992 by mutual friend and The Hitchhiker’s Guide to the Galaxy author Douglas Adams and worked together on Dawkins’ book Climbing Mount Improbable (for which she provided illustrations). They also narrated several of his audiobooks together. While the split, as with any famous couple, may be newsworthy, I respect their wishes to keep any further discussion about it (including speculation about their motives) a private matter. I wish them both well.